Industries often face challenges which require PCs with maximised protection. So, we offer industrial workstations which seamlessly integrates our products. From steel manufacturing to outdoor kiosk solutions, every industry needs the right PC system for its specific situations. Ruggedised computing devices are often used for these processes since it can deliver consistent computing performance for extended periods. Furthermore, additional protection would be favourable for industries which operate in extreme conditions such as in the military. 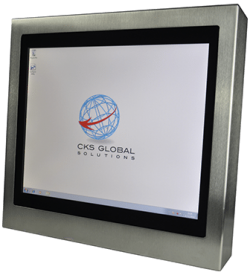 So, for sectors which require computing solutions with the highest protection, CKS Global offers custom industrial workstations for our PCs. 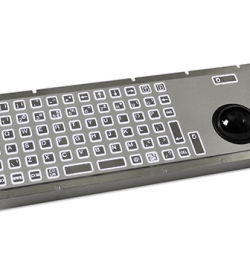 So, do you need a ruggedised computing device coupled with the maximum protection? How about a fanless PC casing which is resistant to dirt, dust, water, and liquid chemicals? 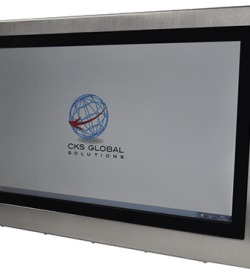 We at CKS Global Solutions offer you our wide variety of rugged PCs with custom workstation solutions for your industry. Are you in need of a reliable computing device for your industry? If this was the case, then we can help build the right workstation. For over 30 years, CKS Global Solutions have built industrial computing solutions for many industries. We understand that some sectors require specific answers to industry challenges. 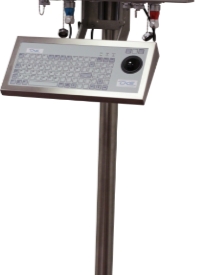 As a result, our workstations assembly were designed to integrate our PC solutions for these applications seamlessly. Our PC enclosures have a rugged construction which adds another protective layer to our industrial computers. These PC cases are also built with 75mm VESA all mounting brackets suitable for applications with restrictive physical space. 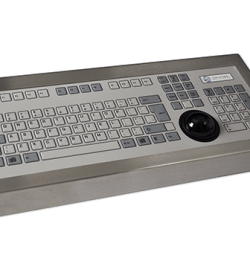 Custom-built workstations can have an integrated IP69K rated and NEMA 4 sealed protective casing. Its 304 stainless steel construction resists corrosion which makes it the ideal enclosure for devices exposed to liquid chemicals. 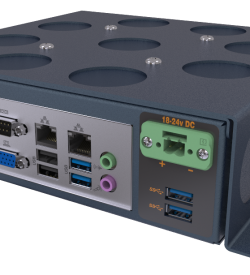 Industrial computer casings can have a custom 2M high pedestal which adds versatile placement options. This is ideal for industries with specific physical space-restricted positioning, such as distribution businesses. Clients opting for a customised industrial workstation can rest assure that our products are compatible with the custom enclosure. Moreover, all of our hardware comes with a 3-year warranty which is upgradable to a 5-year contract if you so choose. Throughout the warranty period, our dedicated team can offer precise technical support for any product issues that may arise. Our WEEE-complaint return policy guarantees the safe collection, treatment, and recovery of our products. CKS Global Solution’s design engineers can work with you to build the ideal industrial workstation which suits your industry. As a veteran computing solution provider, we pride ourselves on offering high-quality PC solutions for our clients. In fact, our technical support specialists were trained to understand the intricate details of your business. They can work with you and provide the best industrial PC workstation solution which fit your needs. So, build the industrial workstation to streamline your industry. Get a FREE quote from us or contact our representative for further inquiries. You may also call us through the number (+44) 01438 747111.